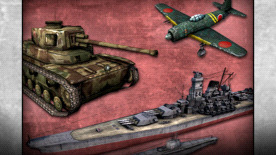 Enhance your Hearts of Iron III experience with the Japanese Vehicle Pack. While playing as the Japanese , 16 new vehicle models will be used in battle. The famous Kikka Jet Fighter, OI Tank and the Yamato, the biggest battle cruiser ever built, are just a few of the new vehicles available.